If you find the classification and continuing reclassification of St. Emilion Grand Cru Classe wines confusing, don’t worry. Like they say in some of the best Science Fiction movies,”You are not alone.” In fact you are in good company. Many Bordeaux wine lovers find it difficult to understand and even harder to follow the Saint Emilion classifications! This page offers an explanation making it easy to understand and how to follow the classification process for the Grand Cru Classe Saint Emililon chateaux and their wines. The links on the left side of the page bring you to full, detailed profiles on all the Saint Emilion Grand Cru Classe wines with wine tasting notes, images, histories, information on wine making, terroir and more. When the wines of the Left Bank were classified in the original 1855 Classification of the Medoc, no one took into consideration any of the chateaux in the Right Bank. In 1955, in an effort to promote the wine of Saint Emilion to consumers, producers and negociants agreed to create a classification for their appellation. That classification would be different from the 1855 in a myriad of ways. Most importantly, the classification of St. Emilion would classify the terroir and vineyard, and not the chateau. And to insure this remained current and up to date, producers and negociants agreed to update, review and renew the classification every 10 years. The wines classified as Grand Cru Classe eventually banded together to help promote their various estates and created the “Association of Grand Cru Classe.” The first Saint Emilion classification took place in 1955. It’s important to understand there is a big difference between Grand Cru Saint Emilion wines and Grand Cru Classe St. Emilion wines. As I mentioned earlier, it is the vineyard that is classified, not just the chateau. In St, Emilion to be a Grand Cru vineyard, your vines must be located in the area of St. Emilion that has been classified as Grand Cru. More than 200 vineyards are located in Grand Cru vineyards. Grand Cru Classe St, Emilion wines are supposed to be from much better vineyards, making better wine. They were classified by a committee. Vineyard owners must apply to be classified. The Grand Cru Classe St. Emilion classification remains in place for 10 years. Of course there are Grand Cru wines that are better than many of the Grand Cru Classe wines, but that is the choice of the Grand Cru producers, as they did not wish to have their wine classified. Most of the time, the reason for that is economics. Grand Cru Classe wines must have their own chateau and cellars for the production of only their wine. Some Grand Cru producers, for example, Jonathan Maltus who owns Chateau Le Dome and other very good wines, would have to build new, wine making facilities for each of his wines. That would be a very expensive proposition that would not allow him to earn a return on his investment. His wines at the top end already sell for as much, or more money than many of the Premier Grand Cru Classe wines. 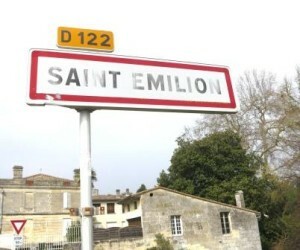 The results for the most recent classification of St. Emilion wines were announced September, 2012. The classification included Premier Grand Cru Classe A, Premier Grand Cru Classe B and Grand Cru Classe wines. The criteria for Grand Cru Classe status was, the properties needed to score 14 out of 20 points on a 20 point rating system. The judging criteria was; For chateaux seeking Grand Cru Classe status, the properties first needed to provide the most 10 recent vintages of their wines for blind tastings. The quality of wine was considered as 50% of their total score. The chateaux were also judged on their reputation in the marketplace, which accounted for 20% of their score. Terroir was also a factor, counting for 20% of the total. The estate and practices were also a part of the consideration at 10% of their score. In the 2012 St. Emilion Classification, 63 estates were deemed worthy of Grand Cru Classe status. I’m not in agreement with all the wines at the Grand Cru Classe level. But I am not on the committee. Perhaps my invitation got lost in the mail. The St. Emilion Grand Cru Classe classified wines are a diverse and divergent group of properties. The styles of the wines, and the quality vary widely. There are chateaux classed as Grand Cru Classe that deserve to be promoted to Premier Grand Cru Classe B. Many estates clearly deserve their status as Grand Cru Classe. There are numerous estates however, that based on the quality of their wine, should be demoted to Grand Cru. Anyway you slice it, at the end of the day, while classification is a big deal in France and of course in Bordeaux, especially if you are selling your vineyard land, the market sets the price for the wine based on consumer demand. And more importantly, at end of the day, the selling price is the only classification that truly matters.